At 9:30 in the morning on this day in 1903, Henry Ford and other prospective stockholders in the Ford Motor Company meet in Detroit to sign the official paperwork required to create a new corporation. Twelve stockholders were listed on the forms, which were signed, notarized and sent to the office of Michigan’s secretary of state. The company was officially incorporated the following day, when the secretary of state’s office received the articles of association. Ford had built his first gasoline-powered vehicle–which he called the Quadricycle–in a workshop behind his home in 1896, while he was working as the chief engineer for the main plant of the Edison Illuminating Company in Detroit. He made two unsuccessful attempts to start a company to manufacture automobiles before 1903. A month after the Ford Motor Company was established, the first Ford car was assembled at a plant on Mack Avenue in Detroit . 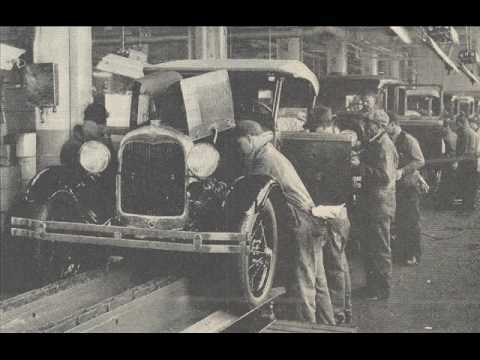 In the early days of Ford, only a few cars were assembled per day, and they were built by hand by small groups of workers from parts made to order by other companies. 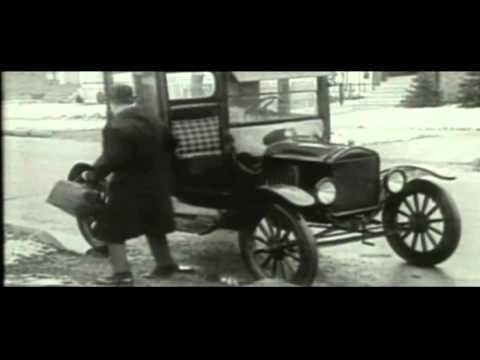 With the introduction of the Model T in 1908, Ford succeeded in his mission to produce an affordable, efficient and reliable automobile for everyone: within a decade, nearly half the cars in America were Model Ts. The sensational demand for the “Tin Lizzie” led Ford to develop mass-production methods, including large production plants, the use of standardized, interchangeable parts and, in 1913, the world’s first moving assembly line for cars. In 1914, to further improve productivity, Ford introduced the $5 daily wage for an eight-hour day for his workers (up from $2.34 for nine hours), setting a standard for the industry. During the late 1910s and early 1920s, Ford began construction of a massive industrial complex along the banks of the River Rouge in Dearborn, Michigan. The plant combined all the components necessary for auto production, including a glass factory, steel mill and assembly line. When Ford Motor’s other stockholders resisted the idea of building the River Rouge plant due to its enormous costs, Henry Ford (who as early as 1906 owned 58.5 percent of the company) bought them out, installing his son Edsel as president of the company in 1919. The elder Ford retained full control of the company’s operations, however, and returned to the presidency briefly after Edsel died in 1943, before handing it over to his grandson, Henry Ford II, in 1945. Two years later, the legendary automaker died at his Dearborn home at the age of 83.